I’m definitely an introvert. It’s not that I constantly sit by myself in a corner and never talk to people. I can be social, but I also get overwhelmed in social situations. I’m famous for leaving parties early. I enjoy spoken word and comedy shows, so I’m forced to go out and see people. Often times, I’m required to speak to people before or after a show, and make small talk. Small talk isn’t my jam. I’ve crossed the street to avoid talking to people. We introverts aren’t great at small talk; in fact, we aren’t good at it at all. 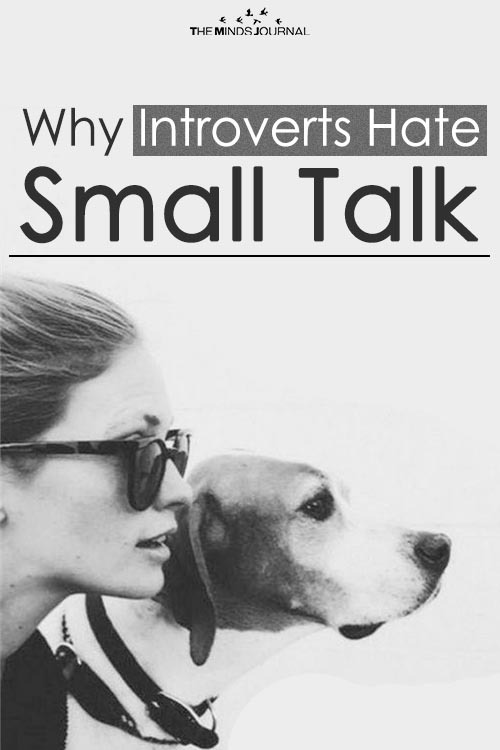 A piece on The Huffington Post revealed the rationality behind why introverts have issues with small talk. The reason introverts would rather hide out in the frozen foods section of the grocery store than talk to an ex-classmate is because it feels completely false and meaningless. When you’re stuck at a party and find yourself talking about the appetizers with someone you barely know, you’re not learning anything new or even getting to know your conversation partner any better. Psychologist Laurie Helgoe, author of Introvert Power: Why Your Inner Life is Your Hidden Strength, contends that small talk actually blocks true interaction. People who are introverted tend to prefer substantial conversations about philosophy and ideas rather than chit-chat. 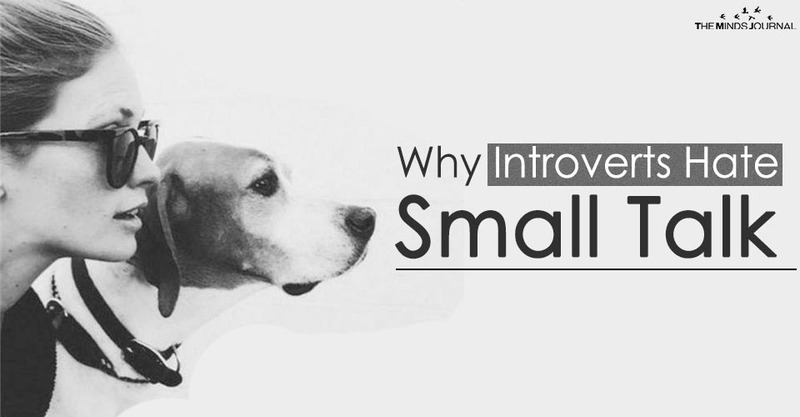 In fact, introverts can get easily intimidated, bored or exhausted by small talk. They’d much rather be real with someone and talk about more weighty topics. Besides feeling fake and pointless, small talk drains an introvert’s limited people-energy. If you look at the energy supply that introverts have for social interaction as a battery, their battery gains or loses energy depending on the social interaction. If they’re speaking to a friend about a topic that fascinates them, their battery is recharged and at full capacity again. However, if they’re waiting in line at the post office and someone they barely know is going on and on about the horrible service, all the energy has drained out of the battery. Unfortunately, to succeed in the world you need to be able to make small talk without feeling like you need to retire to a cave for a few months. The key to surviving making small talk tolerable and less draining is to take control of the conversation and steer it toward topics that are actually interesting. The upside to asking questions and listening to the responses with interest, is that you’ll be more likable and make a better impression. Knowing that might help make small talk a little easier.